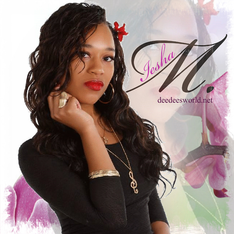 Iesha Marie has over 7 Demetria McKinney fan pages (on social media) which includes the Dee Dee's World fan site that has grown over the past 7 years into something amazing, that all Demetria McKinney’s fans seem to enjoy! Demetria McKinney & Iesha Marie has shared an AMAZING history together... follow her to witness their journey. My name is Iesha, but a lot of you guys may know me as Iesha M. or Iesha Marie, the president of Demetria McKinney's fan club. I currently reside in Buffalo, New York, where I was born and raised. I was sent here, on earth, February 18, 1991. I am the youngest of 5. When I was 6 yrs. old I was in the play "The 3 Little Pigs". I tried out again for a black history month play in high school when I was 18, I got the part as a slave... But unfortunately the show got cancelled :(. When I was 9, I moved to Ohio with my Godmother, I spent 2 years there until something tragic happened and we had to moved back to my hometown when I was 11. I am currently a head start teacher working with children from the ages 2 to 12. But my goal is still set on becoming successful in everything I do. Growing up we've always had some type of animal, we've probably done had over 45+ animals throughout my lifetime. We've have had 2 rabbit, 2 hamsters, 5 dogs (including 3 litters of puppies), 3 cats, 2 birds, a turtle, a frog, crabs, fishes & etc. Now I just currently have a Cat named, Octavia (Kitty). I love to read (urban books). My favorite books so far are "The Coldest Winter Ever" and "Harlem On Lock". I don't speak on it much but long ago, I once wanted to be an artist... In high school I drew a portrait of a tiger; it got picked to be in city hall in downtown New York. I also use to dance... African dance that is. My Godmother always say, "African dance is the root to all dances". As a child my Godmother made sure I was in dance class every week; I've done a few performances and I even use to Dance in school for a short periods of time. My favorite color is lavender (purple). I like music and I LOVE movies!. Hmmm I wouldn’t mind starring in one either. lol! I love all of Tyler Perry's movies & plays and anything with Demetria McKinney (of course!!). If I had to choose between any kind sport, I would say basketball. I NEVER really enjoyed watching it though. I grew up in a house full of boys, so I enjoyed playing it on the video games & throwing a few baskets myself Here & There. (who knew I had it in me? lol). I'm now officially attending Bryant & Stratton College (BSC) for Medical Administrative Assistant, and I hope to soon get a degree in Nursing and Mass Communication in a few years. I love to help those in need, so any way that I can, I would. My heart goes out to folks stuck in any terrible situation/condition… I mean I would want somebody to do it for me. I support Peace and love. I became a Demetria McKinney fan back in 2004, when I first saw her in Tyler Perry's "Meet The Browns" (the play). At the time I did not know who she was… But I loved what I saw. Her ability/talent as an actress.. and at that time what she shared with us through her portrayal as Kim, is what grab my attention. I can honestly say it blew me away. That same year, my cousin recorded Tyler Perry's "House Of Payne" (the pilot season) on DVD and gave it to me as Christmas gift and once again I felt her portrayal as "Janine"come to life, I believed every second of it until it went off and soon after I quickly jumped back to reality realizing that it was just a show. In 2007, the series was re-recorded with the same cast (adding Calvin), a different setting and was nationwide on the TBS network. I ended up falling in love with the show all over again, but most importantly her character, Janine Payne! (I just didn't know it at the time that she was my idol). The more I watched, the more her amazing talent took me by surprise. By the time I saw Tyler Perry’s "Why Did I Get Married" (the play) I was already hooked on finding out who this "mysterious talent" was. So I did my research, but at the time it really wasn't much about her on the web, so I knew then that she was this new amazing talent on the rise, that's about to take us all by surprise. The little research I did, gave me everything I needed to start my own Demetria McKinney support base (which turned into the Demetrians in 2010) on myspace. Before I knew it thousands of her fans came through to help support her as well. I've learned so much about her in the past couple of years. 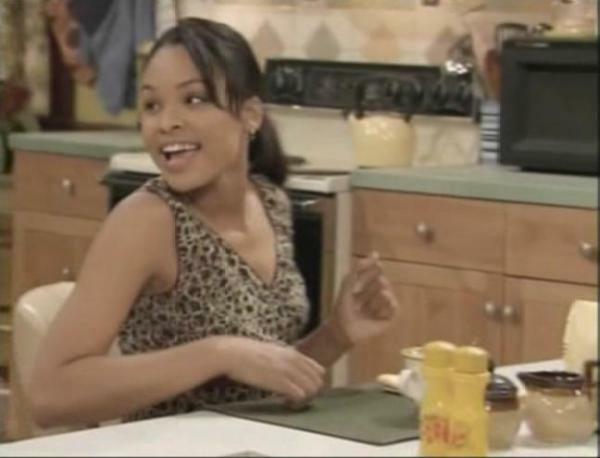 She’s not just Janine from “House Of Payne” or Monica from “The Rickey Smiley Show” to me… her name is Demetria McKinney, her friends and fans call her Dee Dee or Demetria to be exact. As fans, we see her as someone we can all go to for advice, guidance and wisdom... and most importantly someone we can all look up to. If you’ve viewed this fan site… NO, I MEAN THE WHOLE FAN SITE! Then you will know exactly what I'm talking about! There are still things I cannot believe, that can come from the past of someone so humble, multi-talented, down to earth and most importantly, inspirational!! But, that's what I love the most about her. The outcome of her past is MY INSPIRATION. To see, speak, or even hear from someone that have been through so much in her past inspires me. To let all her fans know that she cares, make me happy to be one of her fans. When I see her smile… I smile! She let us know that she is NOT just a person we see on the TV screen, but, a human being as well. She may be beautiful on the outside, but what I love the most about her is that she's even more beautiful on the inside and can't no one take that away from her. The fact that I can relate to this lady in so many ways helps me understand what it feels like to live without and go through ...and yet, still make it. She has taught me how to be a better person and no matter what I'm going through in my life the lord is always by my side even through my most roughest times. I see you Dee, continue to make us happy! 0% Lucky...100% BLESSED. She's a ride or die supporter of Demetria McKinney. She's caring, a goofball, kind hearted, funny and a supporter of the LOVELY Demetria McKinney! Iesha and Chelby met in 2009 on MySpace. Since then, Chelby has been Supporting Iesha's Demetria McKinney Fan Site & all of her Fan Pages the best way she could, by sending pictures, videos & etc. 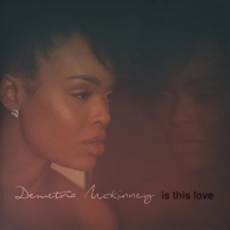 In 2010, while chatting on Facebook, Chelby came up with the "Demetrian" Name, which all of the Demetria McKinney's fans has developed to love, including Demetria Herself, (after Iesha introduced it to Demetria on September 22, 2010 during an EXCLUSIVE interview they did together). Afterwards, Chelby still continued to help by supporting the site, and with all the hard work and dedication, they started to developing a strong friendship. In 2011, They started working on mini projects together to help keep the site successful and running, which is when Iesha and some mutual Demetrians decided to make Chelby, "Dee Dee's World's" assistant. By 2012, Iesha decided to name Chelby Co-Owner. By 2014, while noticing her hard work and dedication, new fan and friend, Marika, was named Dee Dee's World's assistant! Let's Talk Real Housewives of Atlanta! January's Creative Photo Challenge Winner - Sydney Simone! Have Y'all Ever Been On BORN2DANCE101.WEBS.COM? House Of Payne (Pilot Episode #10)- "Big Baller, Shot Caller"
Disclaimer: Deedeesworld.net is the APPROVED fansite created for singer/actress Demetria McKinney. I do NOT know Demetria McKinney Personally, I'm just here to acknowledge her amazing work ethics as an actress, singer, song writer, dancer & model. All the media files here are copyrighted to their own rightful owners. I do NOT claim or own anything on this site. This site is just for the fans of the multitalented Demetria McKinney.